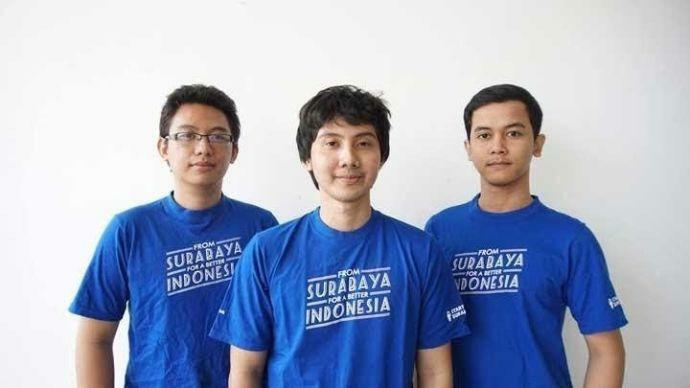 When it comes to startup, Surabaya is yet to be the go-to city in Indonesia. The reality is everything is concentrated in the big shot Jakarta. But, Riliv begs to differ. The company was born from an “aha” moment experienced by Audrey Maximillian Herli, the company’s CEO and co-founder. He was mindlessly scrolling on social media when he realised that there were many emotional posts that reflected someone’s personal feelings, but then people would comment and bully those who wrote these vulnerable posts. His curiosity took him to a piece of data from the World Health Organisation that said one person kills him or herself every 40 seconds. Herli took the matter seriously and decided to team up with Chief Business Officer Audy Herli, leading to the birth of Riliv. With 143 million people recorded in 2017 to be active internet users, internet-based intervention might be a promising treatment for depression in Indonesia. Riliv allows users to sign up and immediately get connected to an on-duty psychologist, matched with the problems profiled by the user. Then, both the user and the psychologist would agree on a date to have a counseling session for an hour. Riliv has features that support the welcoming, judge-free communication for people with mental issues, such as chat-based counseling service. “Riliv makes sure that our users with specific problems would get a counseling session with the right person who understands the psychological aspect to the matter. We call the right person ‘Expert Reliever’, who essentially is the professional psychologist with a license that can give constructive and legit advice,” explained Herli. In doing so, Riliv has a carefully curated service with ethical code and instruction from Indonesia Psychologist Community, or Himpunan Psikologi Indonesia (HIMPSI). Judging from the gap in mental health awareness and solution that a nation with 260 million people still faces, Riliv should be a light at the end of a long-darkened tunnel. Talking about mental health and actually acknowledging the issue are the two things that are still uncommon for Indonesian people. Despite passing the mental health law in 2014, which aimed to reduce the practice of shackling for people with mental illness, Indonesia is relatively behind on this. According to an article from The Jakarta Post, in 2015, WHO released the suicide rate data and Indonesia had 2.9 cases per 100,000 population, and those are only the ones being reported. Being open about one’s mental struggle often resulted in bullying, especially in the time where everything you do is on the social media. When someone with mental health only uses social media as a way to release a pent-up feelings, it can feel debilitating. Tracing back the issue, a research conducted among 495 Indonesian high school students found a significant number of cyber-victimization to be as high as 83 per cent among young people who used the internet. Another study that was based on Indonesia’s health indicators reported that depression and anxiety have affected about six per cent adolescents and adults aged 14 years and older, made up about 14 million people. The study also noted the availability of psychological interventions in Indonesia is very limited with the proportion of 2.91 mental health professionals for 100,000 inhabitants in Indonesia, the minimum number should be 3.33 professionals. It is also not covered by insurance and can be very expensive. Through Riliv, the culture of “curhat”, a slang in Indonesian that means a heart-to-heart conversation, gets an upgrade to a premium class. Normally, online “Curhat” may seem to be harmless, but taking it can result in cyberbullying. Despite one’s personal opinion about being out and open in social media, an act that is seemingly innocent can take a different turn in Indonesia. As simple change like talking to your friends online, but with someone who is reliable and professional, it is especially helpful for people who find it difficult to access help due to expensive cost, who love using social media or who are too afraid to talk it out in a face-to-face session. Instead of getting a judgment, Riliv becomes a safe place for these people. A recent Google Business Group Story Search’s top four finalists in 2017, Riliv encourages the users to use their platform to communicate directly with professionals using four affordable package options. The company guarantees a full watch from start to finish to make users feel comfortable and end up finding a solution or even relief. Riliv says they have more than 50,000 active users on their platform, with more than 80 per cent of the users admitted that Riliv is their first experience talking with a real psychologist. “This is a personal victory for us because it showcased that Riliv can indeed help those who are in doubt to seek help because of the stigma they risk of getting,” explained Herli, who has an Information System background and graduated from university just four years ago. Mental health is not about being crazy, as the stigma Indonesians kept getting in the past when they seek professional help to navigate what they’ve been feeling or experiencing. As a part of their commitment to taking mental health seriously, Riliv’s next innovation would be a call or video call option for counseling, as well as expansion to neighboring countries in Asia, where this research reported that 38.4 per cent people in Southeast Asia still dismiss symptoms of depression, anxiety, and post-traumatic stress disorders as just a regular “worry too much” condition. The post This Surabaya-based startup is tackling depression by providing easier access to mental health services appeared first on e27.